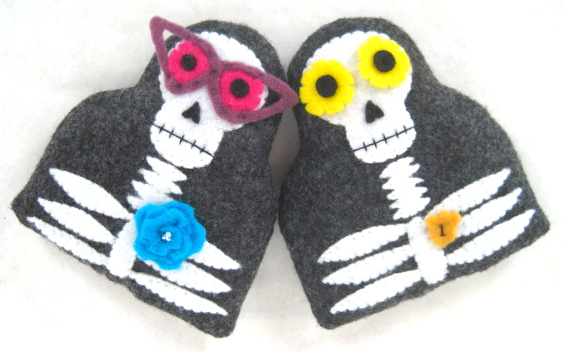 This happy couple was a special request for a pair of newlyweds who are particularly fond of Dia de los Muertos. And who isn’t? When the air gets a little crispy and golden leaves start to scatter about the streets, I can’t help but feel the spirit of the season. The season of the dead, that is. Love the heather grey fleece. These guys are cute and scary!